When I was back at MCAD, Ryan Kelly was kind enough to take me under his wing as an assistant in inking the books he was working on during the time, including “Nortlanders: The Cross & The Hammer” and “The Vinyl Underground“. Because I assisted in inking the final issue of “Local“, my name was including in the Special Thanks of the bound edition, my first professional credit as a comic artist. My gratitude to him will never cease. …Well, time to pay him back. Ryan is allowing the first issue of his independent series “Funrama” to be downloaded for free at this website. Download it while you can, and support him by purchasing Issue #2. 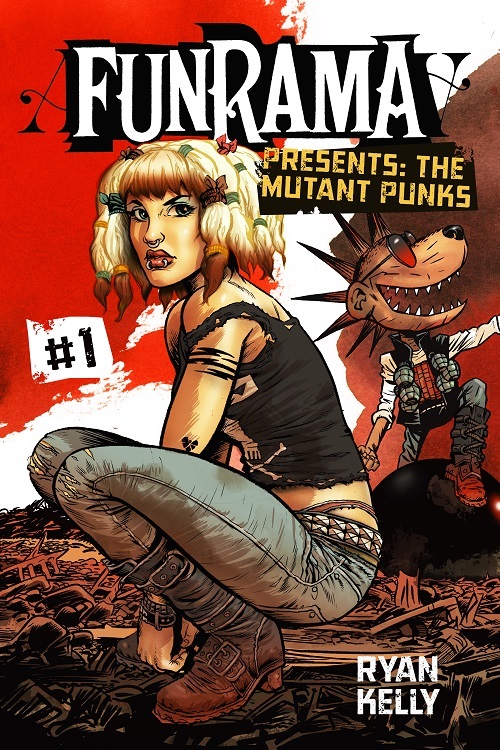 Mutant Punks are the best punks!